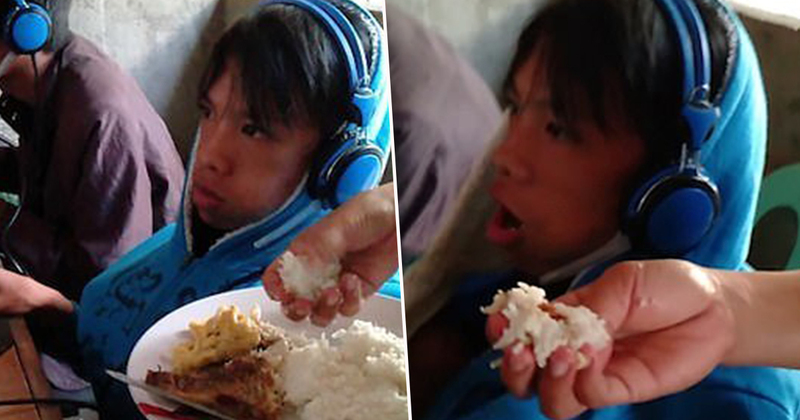 Shocking footage shows a mum hand-feeding her teenage son who refused to stop playing video games long enough to get his own food. When I was younger, I wouldn’t get fed if I didn’t go to the table, and only on the rarest of occasions was I allowed to take my food and eat in front of a screen. There’s no chance my parents would have delivered food to me while playing video games, and there’s even less that they’d physically feed it to me themselves as I did so. I’m sure if it had ever come to that, I’d think, ‘okay, I should probably step away from the computer now and actually feed myself’. 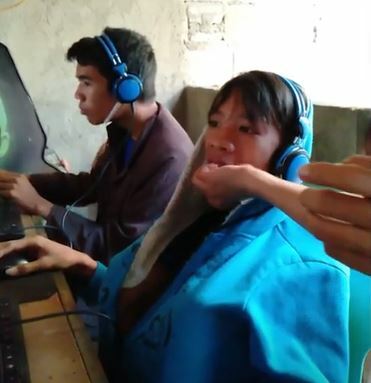 But not even being hand-fed was enough to tear 13-year-old Carlito Garcia away from his 48-hour gaming session at an internet cafe in the Philippines. Entering the cafe, mother Lilybeth Marvel said ‘here, eat now’, but Carlito refused to take his eyes off the screen, leaving the mother with no choice but to feed him herself – though admittedly it was quite odd she chose to hand feed him despite appearing to have some cutlery on the plate. 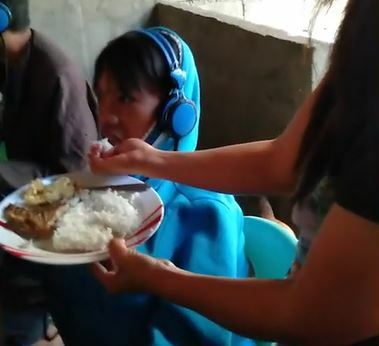 She noted how the amount of money her son had could fuel his gaming habits in the internet cafe for hours, meaning he could be there overnight and might not eat breakfast the next morning. Lilybeth went on to offer her son some vitamins provided by his grandmother, who is worried the young boy is becoming malnourished from sitting alone ‘like a zombie’ as he plays his favourite game Rules of Survival. The teenager’s mother first became worried about her son’s gaming habits a couple of years ago, when he started staying late at the internet cafe. She and her husband have since pulled the teenager out of school while they try to deal with his video game addiction, and although they tried banning Carlito from playing video games, he would still find ways to sneak away to the internet cafe. I used to just nag about his online games. But that didn’t work. So I’m trying a different approach. I try to make him feel that whatever is happening in his life, I am his mother who loves him and takes care of him. My husband and I decided that he should stop schooling first because of his addiction. Now we’re trying our best to manage the situation but it is still difficult. Hopefully Carlito will soon take note of the negative effects of his gaming, and will be able to put an end to his excessive playing.